Travelling to or from Qatar? Easily transport your luggage with My Baggage. My Baggage provides a convenient and affordable door to door luggage shipping service to Qatar and to over 200 countries worldwide. We can help you save time and money. Qatar, located in Western Asia, occupies the small Qatar Peninsula on the northeastern coast of the Arabian Peninsula. The country boasts a population of approximately 2.7 million, and is known around the world for its futuristic skyscrapers and other ultramodern architecture inspired by ancient Islamic design. 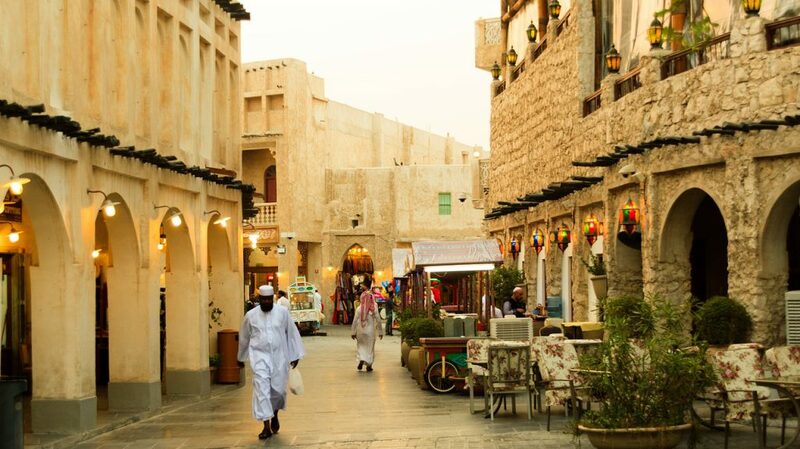 Qatar boasts a population of 2.7 million. Qatar is the richest country on the planet. Qataris ear their main meal of the day at lunchtime. 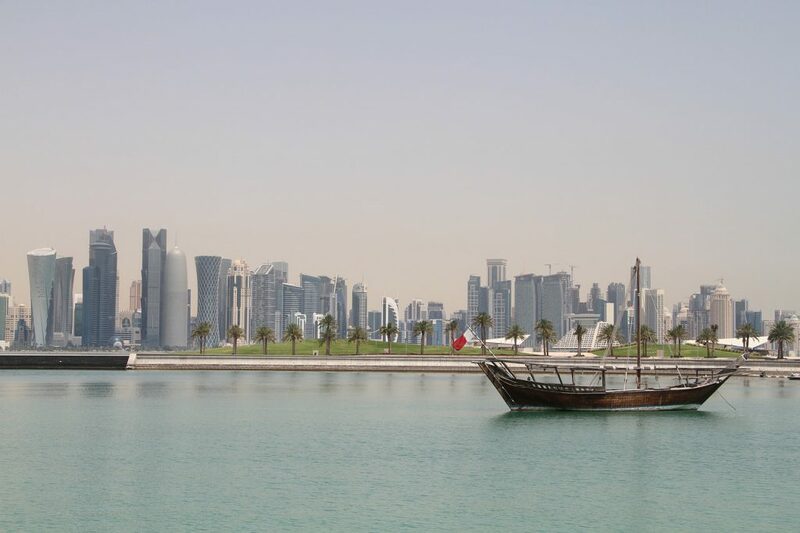 Qatar is home to one hundred and eighty different nationalities. Qatar is the country where a natural disaster is least likely to strike. My Baggage offers a brand new approach to transporting your luggage to Qatar. Our service helps you to get your belongings from A to B, whether you’re simply holidaying or whether you’re relocating. You can wave goodbye to expensive airline baggage fees, nor will you have to go through the process of hiring an international removals company. We strive to provide a convenient, reliable service you know you can trust. We provide a high standard of courier services for just a fraction of the traditional price. To give you peace of mind, we offer full online luggage tracking so that you can monitor the status of your shipment every step of the way. It will also update to let you know when your shipment is out for delivery. You can even opt in for SMS and email notifications to stay updated even on the go. And, if you happen to have any questions or concerns along the way, our dedicated support team will be happy to help via phone, email and live chat. As well as luggage, My Baggage can transport a number of other goods to Qatar. We can even transport items that are typically regarded as oversized or too large to carry with you on your flight. Trying to book large items with you on your flight can substantially increase the overall cost of your trip. Thankfully, that’s where My Baggage comes in. With My Baggage, you can wave goodbye to excess baggage fees. If you want to ship something to Qatar that we have not included below, simply get in touch to enquire. If you have a loved one living overseas, with the help of My Baggage you can send them a thoughtful gift or care-package. Before proceeding with your booking, just be sure to do some research into Qatar customs regulations. Make sure to invest in a sturdy, double-walled cardboard box so that your item is well protected during transit. If you’re worried that your luggage might exceed your airline’s weight allowance, ship it with My Baggage instead. We offer a generous weight allowance for all shipments, plus the option to pay more for an even heavier item, if you need to. You can wave goodbye to expensive airline baggage fees, and have the luxury of travelling luggage-free. There are a number of world-renowned golf courses to be enjoyed in Qatar. You can enjoy your trip all the more by having your own golf clubs there to use, without having to worry about renting equipment. Simply ship your golf clubs ahead to your destination. Booking to transport your luggage to Qatar with My Baggage is easy. Thanks to our easy to use online booking system, you can arrange everything from the comfort of your own home. My Baggage gives you complete flexibility, in that you can plan your shipment around your travel plans. During the booking process you will be given the option to select a collection date that suits you. Once you’ve booked with us, we’ll send you some labels to print and attach to your shipment. After that, we’ll take care of the rest! When sending your belongings to Qatar with My Baggage, we recommend using either suitcases or strong cardboard boxes to package your items so they are suitable are transit. When you book with My Baggage, you can transport your personal effects to Qatar and to anywhere in the world. However, before proceeding with your booking, it’s important to make yourself aware of restrictions set in place for security and customs reasons. Please note that import allowances, security and customs processes differ all around the world. We recommend that you do your own personal research into what may be prohibited in your destination country before booking your shipment to Qatar. When shipping goods to Qatar, you are legally required to complete and send a customs declaration with your shipment. Whether you’re sending personal effects or a gift, if your shipment does not have a customs invoice attached, it will not make it past your local country border, and you may have to pay return charges to get it back. My Baggage will automatically provide you with the appropriate customs documents for you to complete and attach to your shipment when you send your luggage to Qatar. Generally, My Baggage shipments clear customs in a timely manner, free from duties and taxes, as most countries offer a generous duty-free allowance for personal effects. However, as customs processes and allowances differ around the world, we do advise doing your own research into Qatar customs regulations and quarantine before booking your shipment. Please make yourself aware of any potential customs duties. All in all, shipping your luggage ahead to your destination with My Baggage can help you to save both time and money on your travels to Qatar. There’ll be no more waiting around at check-in desks or luggage carousels, nor will you need to worry about hauling heavy bags behind you as you navigate through airports. When you book with My Baggage, your luggage meets you upon arrival, giving you time to enjoy your travels. You can ship your belongings to Qatar with My Baggage for fantastic low prices. Not only that, but My Baggage offers value for money. You can ship a massive 30kg/66lb box or suitcase, while saving up to 80% than you would if you booked with the courier directly.